For more information about any of my lectures or to schedule me to speak, please email me: julie@julieneu.com. Lectures can be customized as needed. In this trunk show, you’ll hear about my 20-year quilting journey from paper templates cut with scissors to creating original designs and working as a quilt artist. Learn about what it took to find my voice and see the quilts that have come from within me. 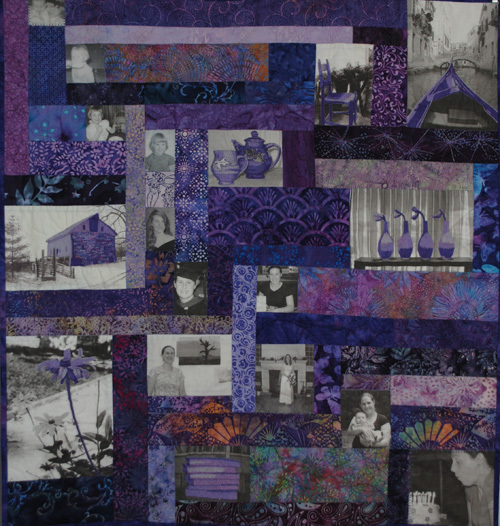 Quilts often reflect the lives of their makers. Wedding quilts and baby quilts track the events in our lives. We use quilts to express our grief and loss, to help us cope with cancer or acts of violence, or to demonstrate political feelings. However, quilts don’t just track personal events, they also mirror the course of history in the United States. 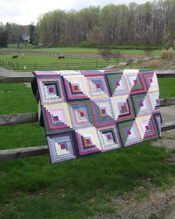 In this lecture, I discuss the history of quilting in this country and how it reflects the history of the U.S. itself from the colonial period until today.